By Brian Hart, Account Coordinator, Jennifer Connelly Public Relations (JCPR). In his iconic book The 7 Habits of Highly Effective People, Stephen Covey argues that communication is the most important skill in life. This is especially true in the business world, where effective communication can mean the difference between success and failure. In a media climate where one spokesperson’s sound bite can alter the company’s bottom line you cannot afford to take this role lightly. The 7 habits outlined in this guide will lead your business on a path to success by helping you become a highly effective spokesperson. Interview preparation should always begin with research. You should study the reporter, the outlet and the topic to be discussed. That research will help you anticipate the tone of the interview and the questions that are likely to come up. Create a list of possible questions and develop prepared responses to them. Have your talking points memorized – but also conveniently located near you during the interview – and plan ways to bridge back to them during the course of the conversation. That level of preparation will help you stay composed, quotable and on message throughout the interview. Understanding your audience will help you speak to them and not at them. First identify your target audience and then craft your messaging in a way that will resonate with them. Avoid using jargon as it can dilute your message for those who are not necessarily experts on the topic. You also need to eliminate messaging that may alienate or offend members of your audience; including political bias, gender bias, sexuality bias and cultural or racial insensitivity. Always remember that your messaging is more powerful when delivered through inclusive language tailored to your audience. Building rapport is a key element in creating quality media appearances. 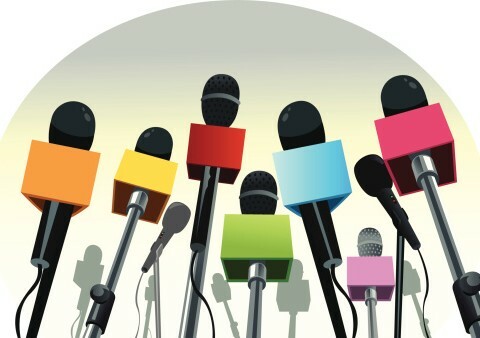 When speaking to a reporter, refer to that person by name throughout the interview to develop trust and familiarity. You should also reference the reporter’s work, like a recent article they wrote, during the conversation, as it can be flattering and shows them that you’ve done your ‘homework’. An interview begins the moment you come in contact with any employee from that outlet, so always be polite and courteous to the reporter and their staff before and after the interview. Building rapport will help you create comfortable, quality interviews while increasing the likelihood that you will be called upon for future interviews. Earning an interview opportunity is only half the battle. The other half is delivering insight through quotable sound bites that will make it into the reporter’s story. If you follow Habit 1, you should have some sound bites prepared that will translate nicely into print or broadcast. In instances where you do not have a prepared response on deck, a great way to offer sound bites is to summarize your main points of the discussion. After delivering a lengthy explanation of a concept or issue, go back and summarize it in a sentence or two with a line like “To summarize what I just said…” or “The main point to remember is…” The habit of speaking in sound bites will greatly increase your chances of being quoted and sought out for future opportunities. The dogmatic cliché “just be yourself” does not always apply when talking to the media. You need to be your best self. To that end, you should always speak positively about yourself, your company, your coworkers, your clients and those you do business with. You can show some humor and personality, but you also want to maintain a high level of professionalism. A touch of humor makes you appear smart and confident, but too many jokes may compromise your credibility. Preparation, subject knowledge and interview experience will all help you to feel comfortable and come off natural when speaking to the media. Social media creates exciting new ways to engage your target audiences. 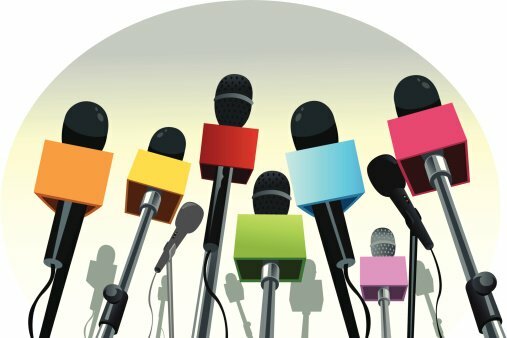 A good spokesperson will share company news and thought leadership through the appropriate channels, which are most often LinkedIn and Twitter. The sharing capabilities of these sites allow you to post your media appearances that are published online, providing targeted exposure within your social network. Every time someone “Likes”, “Shares” or “Tweets” your post, your influence is broadened throughout those networks. Social media provides a legitimate, powerful platform for company spokespeople, and those who are actively engaged stand a better chance of amplifying their influence much more than those who are not. Habit 7: Practice, Practice, Practice! Talking to the media is a skill that will continue to improve through repetition and practicing the habits covered in this guide. You can practice many of these habits in non-media situations. For example, try building rapport with your server the next time you go out to eat. Explain your work to a friend using clear and concise sound bites. Volunteer for opportunities to speak in front of colleagues and business partners to continue building upon your communication skills. Stephen Covey encourages individuals to “sharpen the saw” or constantly work to improve their skills while developing new ones. Follow Brian on Twitter @BrianHartPR.